We are excited for the afternoon wedding at Ki’s today. San Diego has so many beautiful beach front venues. This location is perfect for the bride and groom wanting to be married on the beach. 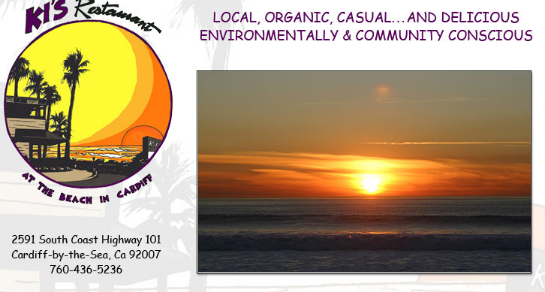 The restaurant is right across the street from the beach, easy to get to and has great ocean views and really good food. The couple is getting married at Ponto Beach and having the reception at Ki’s. The weather this weekend is making it a perfect day. The sunset should be fantastic. The music is a perfect fit for a beach wedding – there will be a six piece Reggae band. We are tying some of the props in to the theme and are looking forward to capturing some great photos.